In 2001 Scott Cook turned his passion for automotive performance into a business that would become synonymous with 3800 performance and excellence. INTENSE-Racing was launched to help fellow 3800 enthusiasts make their GM sedans a force to be reckoned with on the road and at the track. 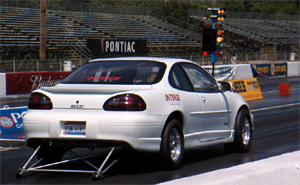 Since the humble beginnings of a 14-second Bonneville, which eventually become the first and only 10-second FWD Bonneville, INTENSE has catered to the 3800, LSJ, and newer GM automotive performance markets. Along the way dozens of records were set and thousands of customers and friends were made. INTENSE enjoyed sponsoring, hosting and attending many race and dyno days, cookouts, and national events as well as sponsoring several local vehicles. During its first ten years, INTENSE helped create the most powerful 3800’s ever built including FWD and RWD 8-second vehicles and worked with thousands of owners to get the most out of their respective platforms. 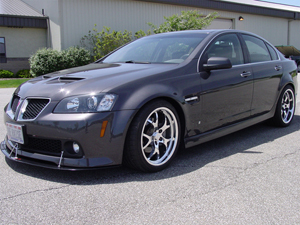 Our most recent achievements including building the fastest Pontiac G8 GT on the planet as well as the first twin turbocharged 2010 Chevrolet Camaro are proof that INTENSE is still leading the way in late model GM automotive performance. 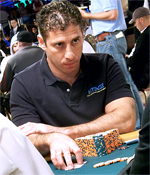 In 2005 Scott was introduced to poker. He began attending various live poker events and playing more and more online. Over the next couple of years poker slowly became his dominating focus and it along with his two other businesses consumed much of his time. Eventually, Scott decided to sell INTENSE to someone who would continue the INTENSE legacy of customer service, quality parts and GM late model performance. That person is John Rucker. John has been rebuilding and modifying all sorts of engines since high school– starting with rebuilding small engines for go-carts and hovercraft, progressing to motorcycles in college, and on to restoring and upgrading classic and late model cars as his family grew. 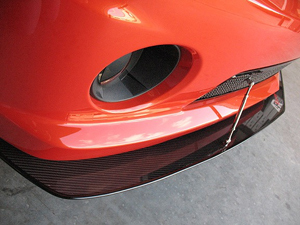 Though he worked in internet marketing for a living, modifying his cars and building his performance driving skills remained a focus in his free time. With INTENSE, John has found a way to merge his love of engineering and high performance with his skills in business. John plans to continue INTENSE as it has been while looking forward to the future by adding new platforms and parts. The INTENSE service department will continue to have Bob Cook install and create performance parts and much of the current staff, including Todd Allen and Chris Morales, will continue to work with John so there are no interruptions in sales and service. All warranties will continue to be honored and any current orders will be processed as quickly as possible. INTENSE’s relationship with Dyno Brian remains unchanged and professional dyno tunes will still be available. We will be moving to a new shop that is literally across the street, so you may notice a change of address on our website. Our phone numbers and email addresses will remain the same and there will be no changes to the 3800Pro Forum for the foreseeable future. All of us at INTENSE truly appreciate the business, knowledge, and friendship that you’ve shared with us over the years, and we look forward to not only continuing this, but expanding upon it in the future.